Disclaimer: The products featured was provided for review. 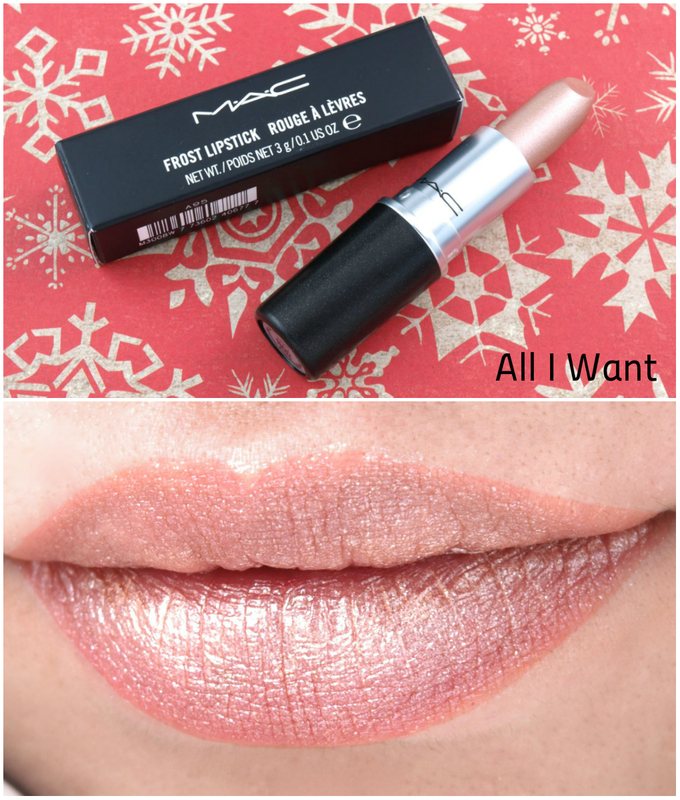 MAC x Mariah Carey Lipstick in "All I Want"
Although this is a special limited edition collaboration lipstick, "All I Want" comes in the original MAC lipstick bullet. 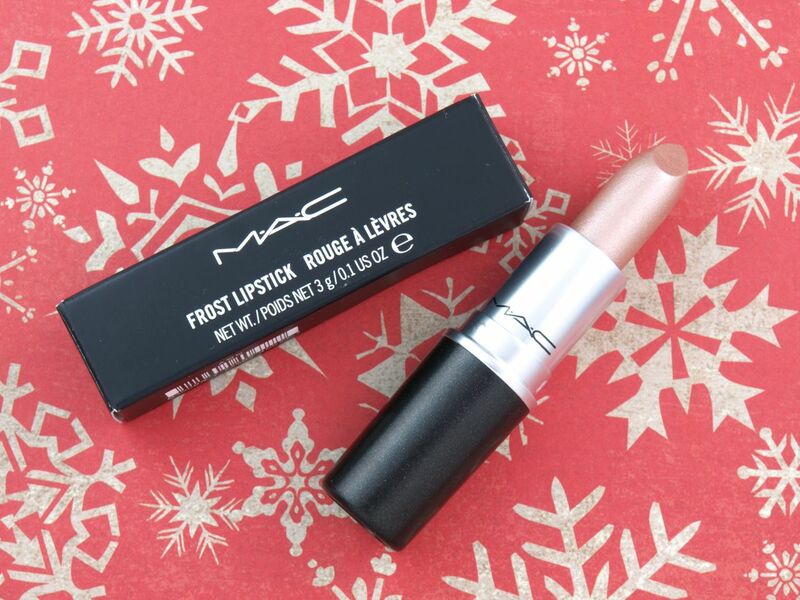 There are no special embossings or etchings on the tube or the lipstick itself. 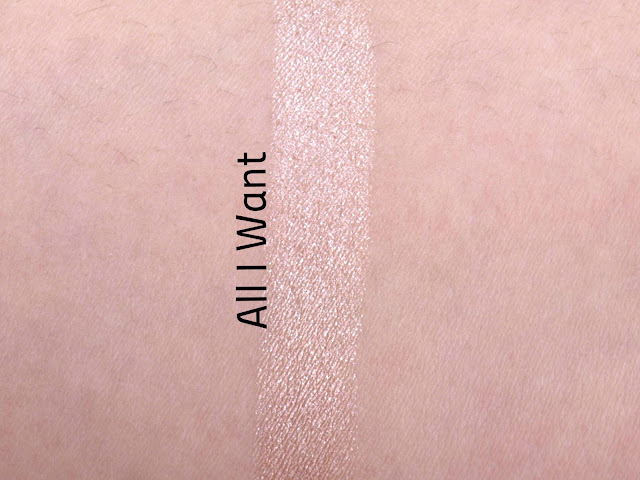 With the classic sweet vanilla scent, "All I Want" is an intense frosty pale champagne. Despite being such a light shade, this lipstick is actually packed to the brim with shimmer particles so it's actually very opauqe. However, the coverage is patchy so it's difficult to use it as a highlight for a base lip color. I tried wearing it on its own and it really washed me out, but I can see this working for someone with a more tanned or olive complexion. Despite being so frosty, the lipstick is actually not drying or gritty so that's a definite plus. 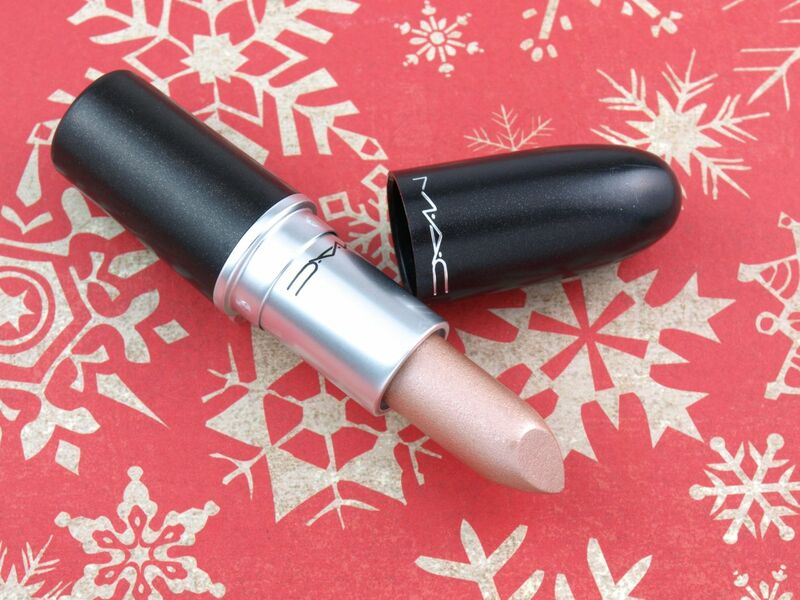 MAC Mariah Carey Lipstick in "All I Want" is available exclusively for a limited time online.